The legions of Rome were apparently among the most awesome fighting forces in history. This book made me realise that. 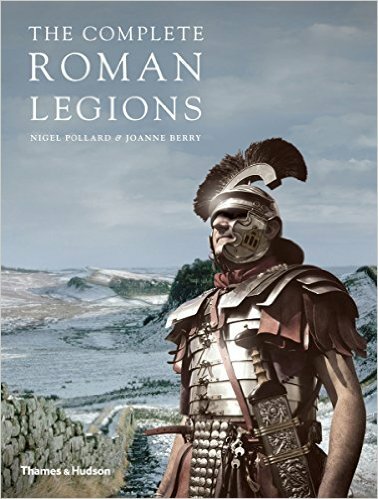 I became very, very impressed with the legions and the history behind all 45 legions ranging from 31 BC to the third century AD. This book covers all 45 legions and we learn about their own individual wins and losses as they fought for the empire and enlarged its borders. The book is divided into three sections and has lovely pictures and diagrams to help explain what was going on and when. Pollard and Berry have compiled a great book sharing a lot of factual information, but told in an interesting day. Another example of a book with a beautiful cover! Stevie is 17 years old and she is trapped. She is trapped in her body and in a treatment center for eating disorders situated in a desert. It isn't pleasant in the treatment centre. There are so many rules and regulations and Stevie is watched all the time - when she eats, when she goes to the bathroom, whenever she goes anywhere. Obviously we, the readers, know that she needs to be watched and helped, but Stevie certainly doesn't see it that way. Stevie isn't planning on staying the 60 days that her dad signed her up for. She plans to escape in 27 days on the anniversary of her brother's death. This book is about tough topics. It's a tale about a girl with an eating disorder and depression suffering grief over the death of her brother. It was an emotional book about relationships and the inside of a teenage girl's mind. Fern is 12 years old and she feels as though no-one see her; she is invisible. Her family all have better things to do - her mum is obsessed with meditating, and also helps Fern's dad run the family restaurant, her brother (Holden) and sister (Sarah) are getting on with their lives. Oh, and there is also 'surprise' baby Charlie who is only three. If it wasn’t for Ran, Fern’s calm and positive best friend, there’d be nowhere to turn. Ran’s mantra, "All will be well," is soothing in a way that nothing else seems to be. And when Ran says it, Fern can almost believe it’s true. But then tragedy strikes- and Fern feels not only more alone than ever, but also responsible for the accident that has wrenched her family apart. All will not be well. Or at least all will never be the same. 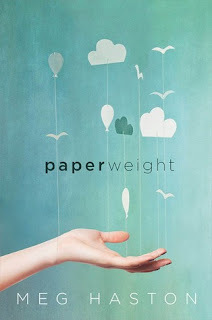 Review inspired by Goodreads, where this book is currently 4.1/5! Sorry for my absence. Mr three-year old Fergus broke his leg last Tuesday and things have been crazy! I love the muted colours on the cover of this book. Mrs Bichan always tells me off, but I do judge a book by its cover (!). This is a road trip novel about Mim Malone finding herself as she travels across America. Her family collapses and changes and she is forced to go and live with her dad and new step-mom. Once she arrives she learns her mom is sick... back in Cleveland. Mim hops on a bus and goes. Along the way she meets some very crazy and quirky people. Best of all though, is that we get to learn more about Mim as she confronts her own demons, figure out what love really is, and actually what it means to be a sane person. I love these type of road trip novels where we learn so much about the protagonist along the way. Currently this book is 3.98 on Goodreads. 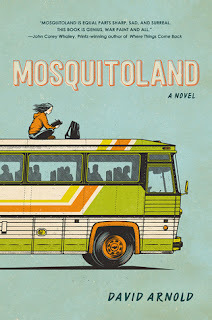 Oops, turns out Mrs Bichan reviewed this book already here http://camhigh.blogspot.co.nz/2015/07/mosquitoland.html but it somehow ended up in my review pile. Sorry about that! I have been reading a lot of non-fiction recently as I found myself always heading to the left when I entered our school library. What would I find on the shelves to the right? I have already posted some other non-fiction reviews such as 'Human Universe' (http://camhigh.blogspot.co.nz/2015/10/human-universe.html) and 'Guinness World Records 2016' (http://camhigh.blogspot.co.nz/2015/10/guinness-world-records-2016.html). 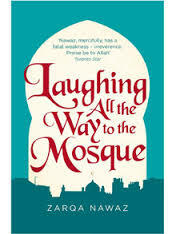 This time I chose a book about being a practicing Muslim in a Westen society and the trials and tribulations that come along with that. This book is written by Zarqa Nawaz and details her experiences in living her religion (and trying to explain it) in a Western World. She shares all of these moments with wonderful humour, and I learnt a lot about both groups of people! This is about Tessa. 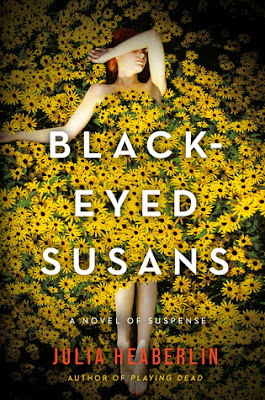 When Tessa was 17 she was named 'Black-Eyed Susan' as she became infamous for being the surviving victim of a vicious serial killer attack. She helped to put a famous criminal in jail. Many years later why are black-eyed susans planted outside her bedroom window and carefully tended for? They seem to be a creepy message from the killer. But shouldn't they be safely locked away for good? What happens next is Tessa agrees to help with the re-opened investigation. She is haunted with bits and pieces of memories from the night. Tess a becomes increasingly worried for the safety of her teenage daughter. It becomes a race - can she figure out who the killer really is before they get to her? These questions formulate the basis of this book. 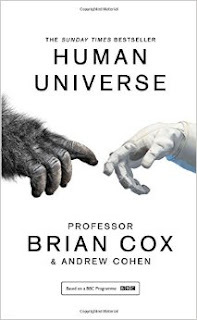 This book is based on the BBC programme of the same name which explores our origins, our place and our destiny in the universe. This book systematically investigates possible answers to the questions listed above and integrates thoughts from many experts in their fields. I love the idea that it all really starts from wondering what a human being really is? On a simple level- a collection of atoms make up a human and there are billions of us in a huge world. Objectively, nothing of consequence really. But human beings must exist in order for such a question to be asked, and potentially answered. This book will make you think. It will make you consider what are place is in this world and what future there is for us. 36 short chapters of funny moments make up this novel. For a long time he has wanted to meet his birth mother. Finally on his 13th birthday a card arrives from her. He is very eager to meet her and show her what she has been missing, but he is Stanley the unpopular disappointment. What he needs is a stand-in - someone awesome who his birth mother will be proud to meet and get to know. 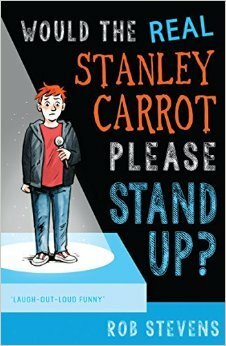 Things get very confusing but funny in this novel! I really enjoyed this novel. In fact, I own my own copy and have read it so many times. This is the first book in a series by Beth Revis and takes place on a huge spaceship named Godspeed. Amy is the protagonist and she is frozen (along with many others) to travel to a new planet hundreds of years away. She was meant to be in the deep-freeze for a long time, but 50 years before she is meant to be woken she is suddenly violently woken up. She is the victim of an attempted murder. Now she is lost on board the spaceship and nothing makes sense - she's alone and has no idea what is going on. Someone is waiting for her and wants to help. Cue mystery, romance, and adventure. I really enjoyed this book and the others in the series. If you love Sarah Dressen you will love this book. You get the romance, the heartache, the coming of age, and all the emotions that come along with a relationship. This book is currently at 3.9/5 on Goodreads.com. While this is a 'Not for Loan' book I know that you will have fun reading it at breaktimes and when you come in with your classes for reading time. 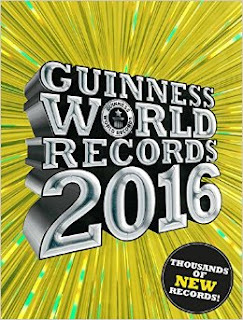 Just like the other 'Guinness World Records' books before it, the 2016 edition contains records that are sometimes hard to believe and leave you thinking wow! Did you know that the heaviest pumpkin weighed 1,054.01 kg?! Or that the oldest living person is 116 years old? !